In a year when the opening of the long-awaited Kippa-Ring rail link has been delayed, today marks the 30th anniversary of the opening of a key section of the massive 1980s south east Queensland public transport infrastructure rollout. The Wellington Point section of the rail link to Cleveland opened as an electric service on July 26, 1986, and represented a significant boost to the growth of the then Redland Shire, 25km east of Brisbane. 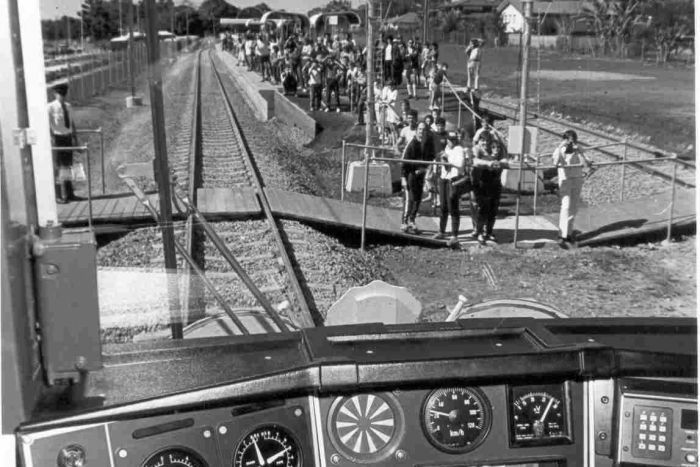 During debates in state Parliament in 1979, the rebuilding of the railway from Lota to Cleveland was discussed at the same time as the extension to Redcliffe, but it has taken 30 years for the line to Kippa-Ring to catch up. Then-premier Joh Bjelke-Petersen performed the opening of the 5.2km extension from Thorneside to Wellington Point, which cost $12 million in 1986 ($30.8m in 2016 dollars). The first commuter services started on Monday, July 29, 1986. The line was extended to Cleveland in the next year, completing what was one of the last big infrastructure projects of the era. The original line to Cleveland, which opened in 1889, was closed beyond Lota on November 1, 1960, mainly to save on the costs of bridge reconstruction, and because of falling revenue from farming rail freight. But the land on which the line was built was retained by the Government, allowing the line to be rebuilt. In 1980, the State Government decided to reopen and extend the line beyond Lota, with diesel trains running on the line to Thorneside from September 1982, and electric trains from 1983. Redland City Mayor Karen Williams has used the 30-year anniversary to call on the Queensland Government to duplicate the rail line. She said the extension of the rail line to Wellington Point had been critical to providing for the growth of the Redlands over the past 30 years, helping to transport locals and visitors into and out of the city. "With the State Government forecasting an extra 15,000 dwellings to be built in the Redlands over the next 20 years, the time has come for another upgrade to this rail line," Cr Williams said. "The Redlands community has been calling for a duplication of the rail line to Cleveland for some time to help ease traffic congestion in our growing city, and I will continue to lobby the State Government for this important infrastructure." Why are services taking longer?